Motorola's strategy may be starting to pay off as the company announced a surprise profit and topped forecasts for the first quarter. On Thursday, the company said it earned $69 million, or 3 cents per share, in the quarter. During the same quarter a year ago, it lost $231 million, or 13 cents per share. Analysts had expected Motorola to lose 1 cent to 3 cents a share in the first quarter. The handset maker has been trying to turn around its business for the past couple of years. Ever since its Razr phone commanded consumer attention, Motorola has had a hard time finding a new hit. The company has been shifting its strategy and has started focusing more on smartphones. Motorola co-chief CEO Sanjay Jha said demand has been outstripping supply for the 'Droid X,' one of its smartphones powered by Google's Android operating system. 'As we continue to execute on our business strategy, we are in a strong position to continue improving our share in the rapidly growing smartphone market and improving our operating performance,' Jha said. That said, Motorola's new strategy has resulted in fewer phone sales overall. In fact, in the first quarter, the company ceded its title as the largest maker of cell phones to Apple. Motorola sold a total of 8.5 million phones in the quarter. Apple sold 8.8 million iPhones. 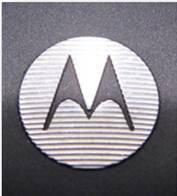 When the Razr was in its heyday four years ago, Motorola sold 46.1 million phones in the first quarter, the Associated Press reported. While the sales volume is lower, the company can charge more for its higher-end handsets. But the price difference isn't enough to offset the losses in revenue; at least not yet. "The world economies are today showing some underlying signs of a rebound, which, if not significantly disrupted by world events, could have a favourable impact on our markets as customers move towards renewing their capital spending," said the chairman and chief executive. All companies are required by law to keep full and accurate records of their financial transactions. In this article we can see the key figures from Motorola's accounts being announced. We are interested in two parts of a company's accounts, namely its balance sheet and its profit and loss account. For more details on these accounts, follow the links below. Explain what is meant by the term 'operating profit'. Examine how Motorola might have improved its operating profit over the last twelve months. Explain why the acid test and gearing ratios would be of interest to prospective investors in Motorola. Analyse whether the growth in consumer capital spending will help Motorola increase its profitability.